For a long time, there has been a serious lack of distinction between smoking and vaping. Part of this problem has been the perception of electronic cigarettes. At the beginning, this was understandable, as they did tend to look like traditional cigarettes. This was a purposeful action; a way to help smokers slowly ease into vaping. They also produced clouds of vapour, which to the average pedestrian, can appear to look like tobacco smoke. However, beneath all this, many of us know that vaping is a complete contrast to traditional tobacco smoking, in terms of smell, taste, aesthetic and health. The vape vs smoke conundrum all stemmed from these comparisons and have since escalated into the mainstream, which is where all this misinformation lies. This sort of misinformation includes those who say e-cig flavours attract children to start smoking, which are the sort of claims which lump smoking in the same category as vaping. But in fact, out of 2.8 million adults in Great Britain who use e-cigarettes almost all are ex- smokers, with very few young people taking up the habit. The need to separate tobacco smokers and electronic cigarette smokers stems from the idea of the habit loop. The habit loop is a theory that has been used to explain a phenomenon such as peer mentoring support for alcoholics. It has also been used by multi-billion dollar corporations to enhance their marketing campaigns. The habit loop is a neurological loop that governs any habit. The loop is made up of three elements; cue, routine and reward. The cue can be anything that triggers the habit. The habit or routine is essentially the behavioral action that takes place in order to achieve the reward which usually ends in a chemical release of pleasure through Endorphins such as Serotonin and Dopamine. In the situation of a cigarette smoker at work a cue might be a certain time in the day, or maybe a drink such as a tea or coffee. The behavior will follow the cue; in the context of work this would be leaving the office to head outside for a cigarette, the reward is the pleasure of the cigarette. This cognitive system is set in place and would need to be reversed in the event of a smoker looking to quit. The habit loop theory recognises that the cue’s and the rewards are almost unchangeable. When changing a habit, we must focus on changing the behaviour. One fantastic step to change this behaviour is by replacing the act of smoking a cigarette with an electronic cigarette. But more can be done, especially in the workplace. By sending electronic cigarette users outside with other smoker’s employers are making it more difficult for e-cig users to quit. This is because being outside with other smokers is reinforcing the negative habit and encouraging more cues and behaviours associated with tobacco smoking. This is why separating tobacco smokers and electronic cigarette smokers is important. It is a situation which has been brought to light by Public Health England who have stated the importance of having vape areas away from tobacco smokers, now it is time for more employers to start taking notice. Public Health England have also been trying to encourage ill- informed employers to make space for vapers, who are normally required to go outside. They say “Vapers should not be required to use the same space as smokers, as this could undermine their ability to quit smoking and stay smoke-free particularly among those most heavily addicted”. It doesn’t end at this though. 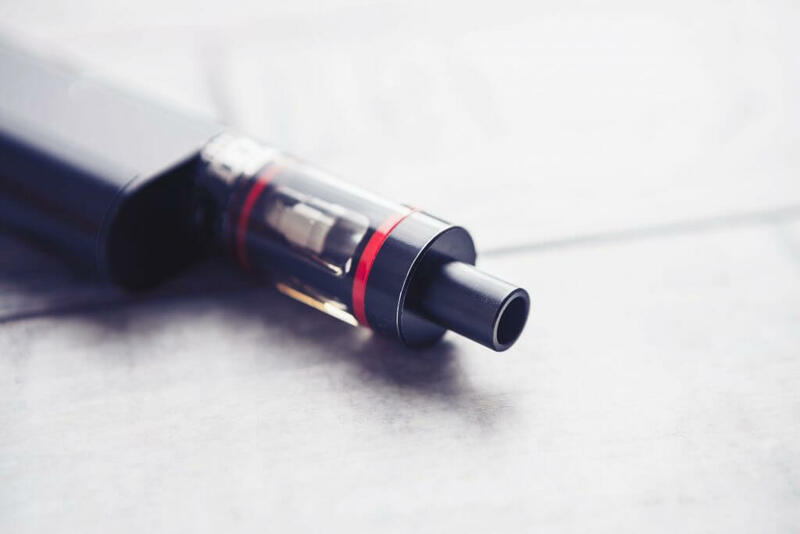 Along with encouraging employers to find separate areas, PHE also request that to avoid confusion, people do not use smoking terminology when relating to those smoking e- cigarettes. The National Director of health and wellbeing at Public Health England says “The evidence is clear that vaping is much less harmful than smoking and that e-cigarettes are helping many smokers to quit.” To maximise the number of smokers switching to e-cigarettes, vaping should be made a more convenient, as well as safer, option.” The guideline believes that vaping should be banned only in school or workplaces when children are present. Of course, not all organisations will be the same. But the bottom line is, by keeping vapers and smokers separate, it will reduce the negative stigma that comes with vaping. This is why when making a policy, employers need to take into account of the evidence that clearly distinguishes vaping and smoking.